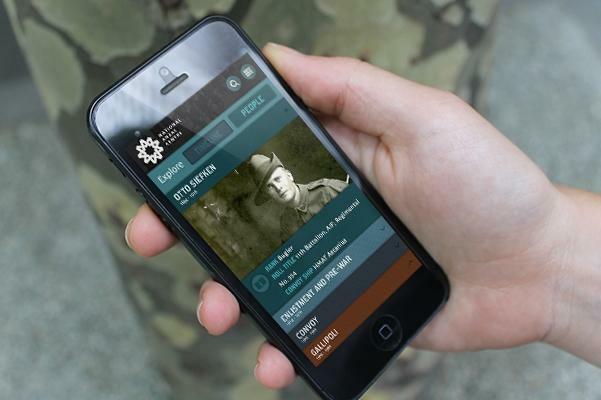 The Western Australian Museum has brought together the physical and digital experience consumers can have of its newly opened National Anzac Centre with a mobile-optimised website that interacts with the Albany, WA site. Visitors to the centre receive one of 32 character cards focusing on real soldiers in the First World War. By scanning these in card readers throughout the Centre, the visitor receives customised content based on the experiences of that particular person in the war. At the end of the exhibit, visitors are asked to leave a tribute or comment about their character’s experiences. Aware that not everyone can make the trip to Albany, the WA Museum has also replicated the experience on a website, presenting all 32 characters’ stories in a digital format. More than 500 comments have been posted so far, and they are all viewable at both the website and physical location, he said. The website was developed by external digital agency, Precedent, in parallel with the physical site over a 14-month period. Including the physical and digital components, the Centre cost $10.6 million and was funded by the state and federal governments. The digital component was a “fundamental requirement” for the building of the Centre, said Strong. “The underlying objective was that this story has to be accessible to everyone. That’s what drove every single decision that was made,” he explained. The WA Museum chose to design a website rather than an app for the Centre because it’s more accessible to more people, including older people who are less comfortable with apps, said Strong. “If you have to download an app, it’s kind of a barrier.” In addition, creating separate apps for different mobile operating systems would have significantly lengthened development time, and platforms with smaller market share would probably have been left out, he claimed. The Anzac Centre is not the first project at the WA Museum to make innovative use of technology. A recent dinosaur exhibit used augmented reality so that users could follow virtual 3D dinosaurs around the museum floor. Strong said he has been following developments in virtual reality including the Oculus Rift headset and Google Cardboard. “It’s a little bit clumsy in terms of how big it is around your head, but it certainly suits itself to certain experiences,” he commented. The museum had looked at Oculus Rift as a possible way to simulate deep sea diving, for example, Strong said.